After an evaluation that includes taking a detailed history and assessing your range of motion, strength, reflexes and sensation, we will develop a plan to address deficits or areas of concern. Each patient will be provided a home exercise program and advice pertaining to body mechanics and posture. 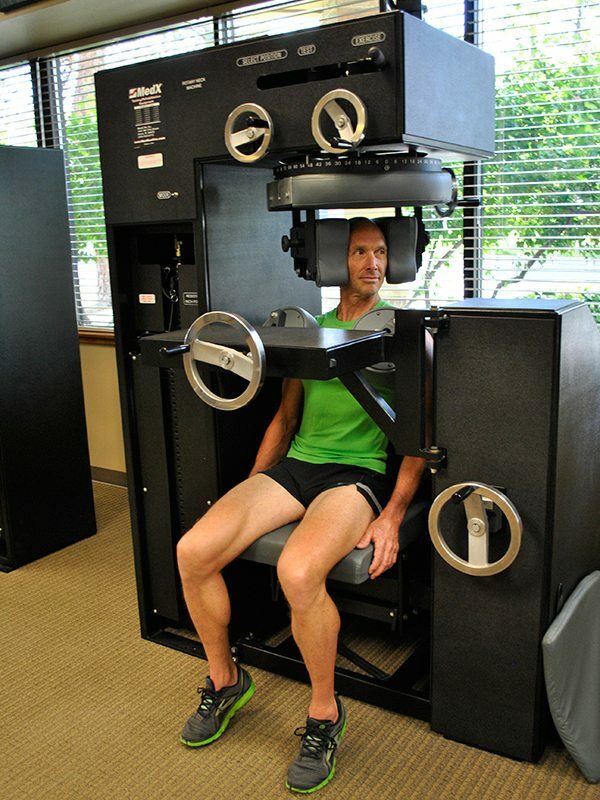 Ultimately, our goal will be to maximize the strength and range of motion in the patient’s cervical spine. Evidence shows that symptom reduction follows improvements in your functional strength and mobility. Be prepared to “invest” two visits per week for approximately eight to twelve weeks to reach this point. Each patient will be seen in a one-on-one setting with one of our physical therapists. 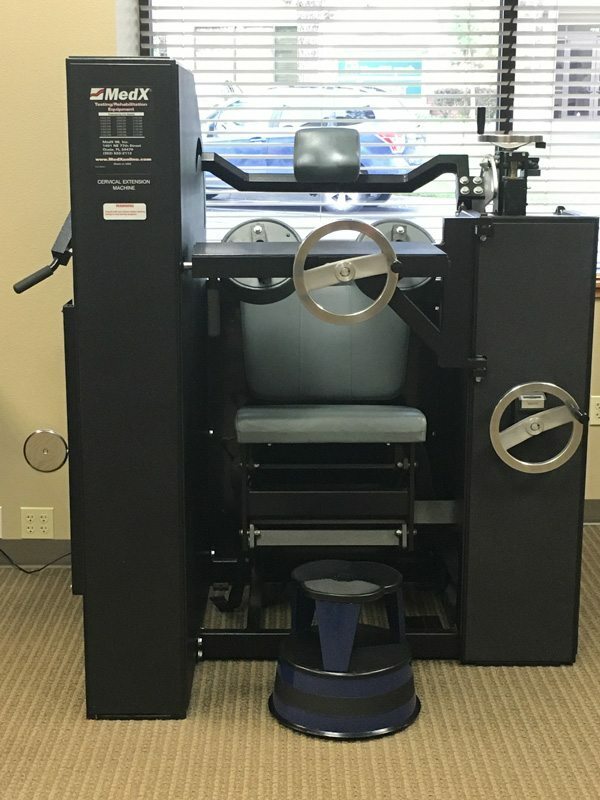 Our approach is exercise-based: patients will typically spend the first part of their treatment warming up on cardio equipment, and then performing range-of-motion exercises. 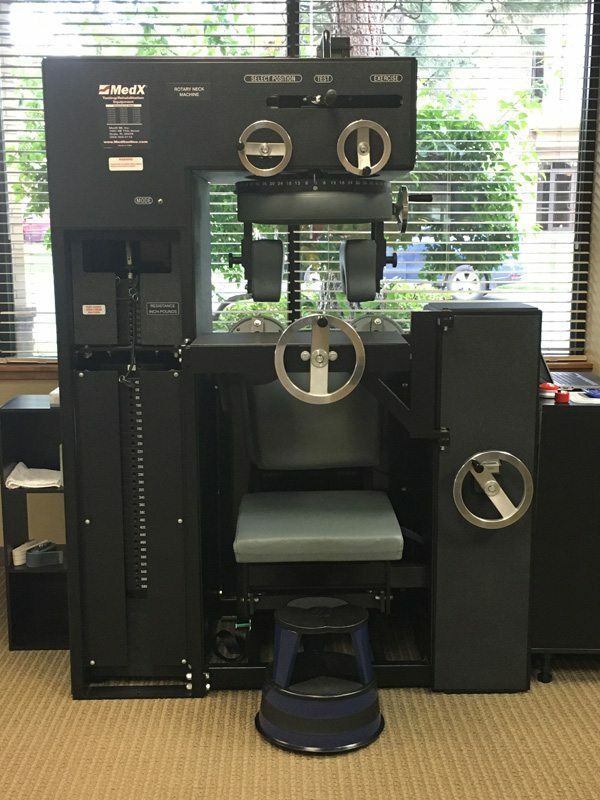 Following the warm-up, the patient will then perform strengthening exercises on specialized (MedX medical grade) equipment designed to target the cervical spinal musculature. We will also provide exercises to strengthen the major muscle groups attached to the shoulder and thoracic spine. When a patient no longer is demonstrating improvements in strength, we consider this to be a “plateau”, this is when our job is done. The patient will be instructed in an aftercare program prior to discharge from physical therapy; we strongly recommend patients continue maintaining their strength and mobility gains by performing their aftercare exercises on a regular basis. Otherwise, all the improvements from participating in our neck program will be lost in six to twelve months.